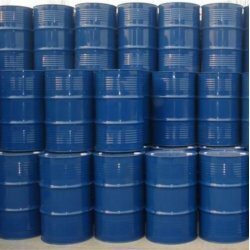 We bring forth for our clients Dimethyl Formamide whose formula is (CH3)2NC(O)H. Apart from high boiling point, it is a polar aprotic solvent. As far as its odor is concerned, its pure composition is odorless whereas substandard dimethyl formamide has a fishy odor because of taint dimethylamine. In order to satisfy the varying needs of our clients, we offer these chemicals in several specifications.